DRILLING RIG SOLUTIONS routinely works with manufacturers and field service companies to ensure equipment is compliant with applicable regulatory standards and clients specifications as well as ensuring the equipment or systems are fit for purpose. Condition Surveys of Drilling Rig Units - DRS has a comprehensive inspection/audit system that covers all the components of a drilling rig unit and is designed to allow for customization of these services to meet your particular needs. Commissioning - DRS can assist with acceptance documentation preparation or acceptance oversight of any drilling rig unit, drilling rig equipment or any part thereof. Fit-For-Purpose and Final Acceptance Surveys - DRS helps our customers evaluate if the drilling rig unit can perform the job it is being considered for. We also evaluate factory released equipment and can perform FAT (Factory Acceptance Testing) and SIT (System Integration Testing). 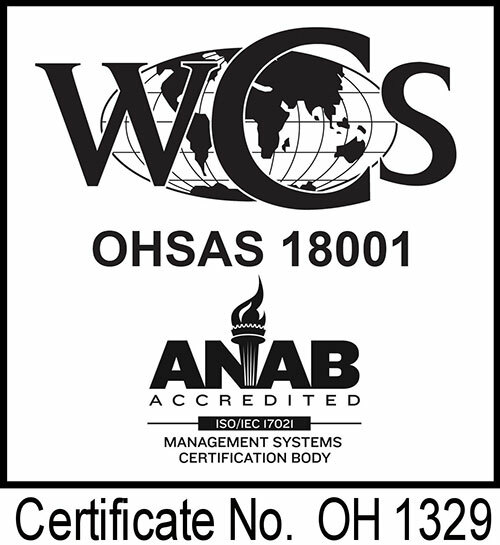 Well Verifications (30CFR250, SubPart G) – DRS can assist with all regulatory needs for your operation. Vendor Surveillance Program - DRS can assist surveying any shop repair of equipment considered critical to drilling rig operations. Pre-Hire Selection Surveys - DRS can perform inspection surveys on all drilling rig units being considered for the job to assist with final selection. Basic Dropped Object Hazard Evaluations - Already part of our condition surveys, this inspection helps evaluate the effectiveness of the DROPS program in place as well as assisting in identifying any areas in need of review. Dynamic Dropped Object Hazard Inspections - Traditional onboard DROPS inspections are carried out with the rig equipment shut down. During our dynamic DROPS inspections, DRS and rig personnel evaluate all high-risk equipment to identify any possible dynamic dropped object hazards present and produce a mitigation plan. Key Personnel Assessments – DRS evaluates how equipment is maintained and personnel utilized to produce a safe, stable environment for the critical operations being undertaken. We help assess your key personnel and maintenance procedures for competency and regulatory knowledge. DRS customers can always select what service or combination of services applies to their own needs and we will ensure they get exactly what is expected. DRS Reports/Recommended Actions utilize a reporting layout based around the industry standard International Association of Drilling Contractors (IADC) Standard Format for Equipment List (SFEL) format. We provide in-depth daily reports with photos, which not only document any deficiencies and concerns we observed, but also offer possible solutions and corrective action.